Outdoor Research’s Valhalla pants are made for backcountry skiers who want a comfortable, breathable, lightweight softshell. Made from Gore Windstopper, they are very thin but offer excellent weather protection. I love these pants because of their flexibility – primarily because they are great for layering. I would call these pants a true “soft” shell and I would treat them as such. Their relaxed fit allows you to put multiple layers underneath without making things too tight. If you accidently put on too many layers these pants have large side vents (something fairly rare in softshell pants) allowing you to dump excess heat. 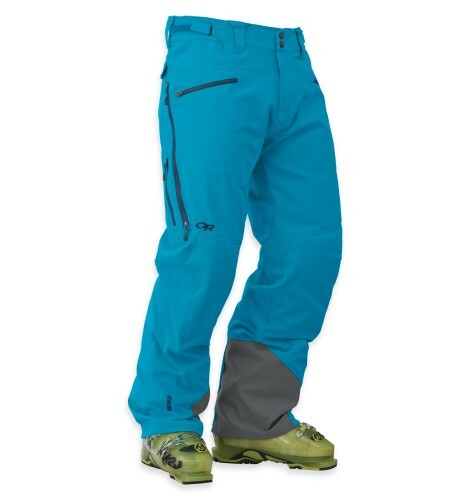 From the resort to the backcountry these pants are awesome. I wear them roughly 70% of the time, switching to the Outdoor Research Axcess pants when things get really nasty. These pants are fully featured and you can tell they were thought through by people who actually go into the backcountry. Loads of pockets – including two good sized and well placed cargo pockets – allow you to stash all the candy bars your heart desires. One of the front pockets even has a clip for your beacon. There are also loops for suspenders, belt loops, an adjustable waist, cuff guards and a host of other expected features. Rocking my Valhalla pants in the PNW backcountry. 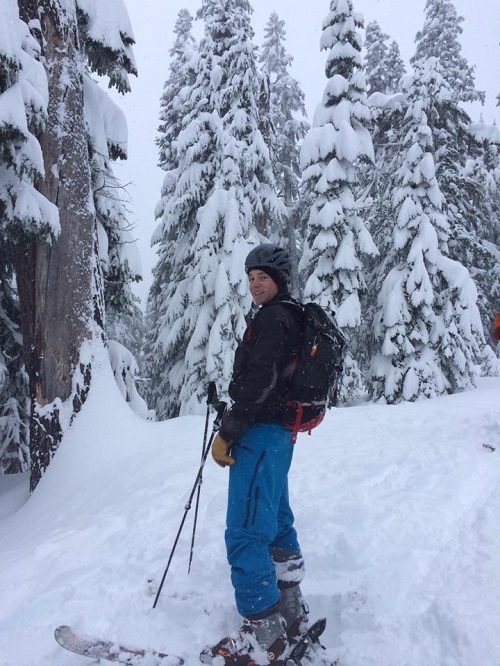 You will also notice I’m wearing the OR Salvo Jacket and Millet MBS 30 ski pack. One thing to note about these pants is the sizing. When it comes to Outdoor Research I normally wear a small. The small was too small and the medium is a bit too big for me (I ended up with the medium) so try it on before you buy it. I picked up a pair of the suspenders Outdoor Research makes which helped the fit out considerably. If they fit they are awesome. Hands down some of the best pants you will ever own. This entry was posted in Brands, Outdoor Research, Gear, Pants, Activities, Ski Mountaineering, Gear, Pants, Soft Shell.